The problem with identifying ongoing interior design trends is not that there’s a lack of them. There are plenty of current fads to pick from, but the trick is to determine which of these trends have some staying power. While many trends are fleeting, some are rooted in the actual times and the bigger changes that are going on in terms of the public’s cultural interests, environmental concerns, and consumer budgets. Whether we like it or not, social and economic trends have a sizable effect on trends that occur in the world of interior design and home décor. With that said, here is a list of some of the biggest trends in interior design today that seem to have enough staying power to last through 2010. The first big color trend that is expected to continue into the New Year is a move towards aged, distressed color finishes that are reminiscent of past times. Shades in earthy brown and aged greens, as well as smoky blues blue hues will continue to be popular for wall paints and fabrics. Lenzing Fibers, a cellulose fabrics manufacturer and retailer, reports that many of the colors that are going to continue to be seen in fabric design revolve around the earthly elements. Colors based on the colors of nature, i.e. minerals, soil and plants. Metallic colors are also expected to be a continuing trend in 2010. Pantone, the global organization that analyzes and sets color standards for each fashion season, says that the eight key color palettes for the New Year include: Greenmarket, Gatherings, Transformations, Pastiche and Ambiance, to name a few. Antique and vintage interior décor pieces add a bit of warmth and human soul to a home, and in the past year, the urge to revisit the past in new design settings has been increasing and the trend seems to be ready to continue into the New Year. This also explains the rise in thrift store and consignment store shopping, as well as the surging of sites like 1stdibs.com. This same trend in revisiting the pasts design aesthetics has led people to revisit their own past heritage when designing the interior of their homes. A return to one’s roots is a growing interior décor trend. People are looking for Native American, aboriginal and tribal colors and patterns that employ bold hues and geometric shapes. A few years ago, green living was a brand new trend in the world of interior design. Now, it might be more accurate to call it a staple of contemporary design aesthetics. As we head into 2010, green design is still growing and shows no signs of slowing down. Green construction and building materials have become a huge part of the home improvement marketplace, a trend that will hopefully continue not just through 2010 but for many years to come. Environmentally friendly paint, cloth fabrics, furniture and flooring materials, and energy saving lighting alternatives are just some of the green elements that are factoring into today’s interior décor fashions. Characteristics of green products include sustainability and a minimum emission of volatile organic compounds that could be harmful to people and the environment. Another design trend that is related to recent green living trends is the increased use of re purposed or recycled furniture and design accessories. Reusing, repainting and refinishing old items can give them new life and help avoid unnecessary waste. The trend of mixing colors and texture when picking out a living room’s decorative fabric pieces looks like it’s going to continue well into 2010. A room with matching textures tends to get old after a while. Layering different textures of fabric creates a more interesting arrangement. Try mixing and matching satins, furs and cotton fabrics to see what you like, and feel free to incorporate patterned fabrics as well. 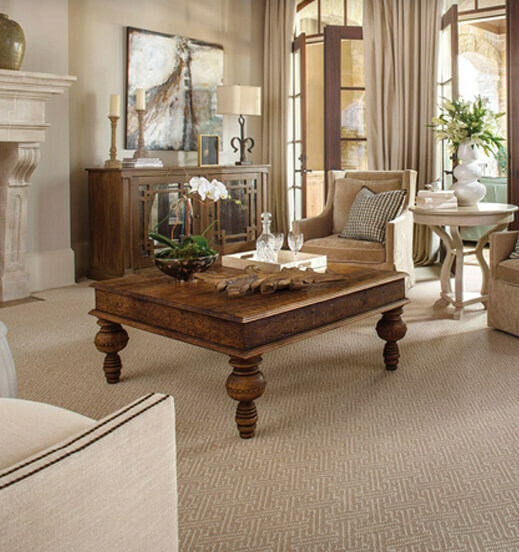 A home’s floor is as much a part of its interior design elements as the walls and furniture. Adding patterned mats, decorative carpets, area rugs and other decorative elements to your floor will give it a rich layered look that will in turn lend warmth and coziness to your home. Runner carpets for stairways and hallways are also back in style. Layered flooring started to grow as a trend in recent years and it seems poised to be a big part of 2010 interior design landscape. In a tight economy, layering your existing floor rather than replacing it with a new one is a money-saving way to completely renovate the look and feel of your home interior.